U.S. Energy Secretary Rick Perry said Russian Energy Minister Alexander Novak invited him "to come visit some of the things that they are doing in the Arctic." 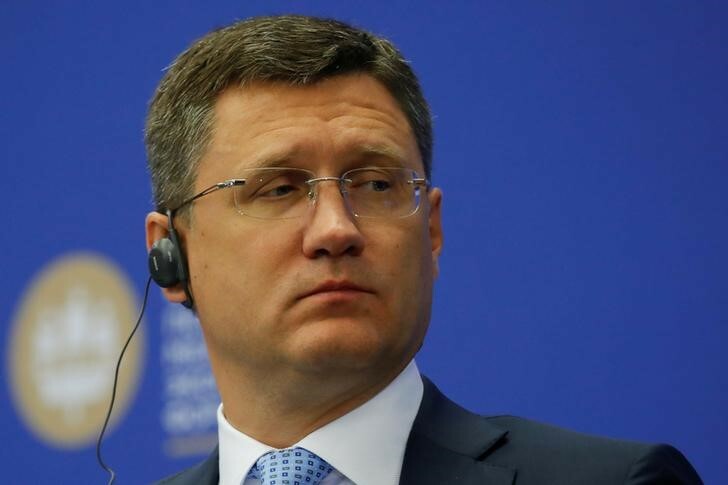 WASHINGTON — Russian Energy Minister Alexander Novak said on Tuesday he discussed U.S. sanctions on Russia and Moscow’s plan to expand its Nord Stream gas pipeline to Germany, which has irked Washington, in talks with U.S. Treasury and Energy Secretaries. Russia is one of the world’s biggest crude oil and natural gas producers, and the United States has been urging global energy producers to boost output to stem an increase in prices. “We met. We discussed energy issues, among other things. We touched upon questions related to sanctions,” Novak said of his meeting with U.S. Treasury Secretary Steven Mnuchin at a press briefing in Washington. Novak said other discussions with U.S. Energy Secretary Rick Perry covered Russia’s Nord Stream undersea gas pipeline. Plans to double the capacity of the pipeline to 110 billion cubic meters per year have riled both Washington and Brussels, which is trying to cut its reliance on energy supplies from Russia. Washington believes the pipeline would give Russia, which has at times frozen deliveries to parts of Europe over pricing disputes, more power over the region and the administration of President Donald Trump has followed that of Barack Obama in opposing the Nord Stream 2 project. The planned volumes are more than half of Russian total gas exports to Europe, which is seen reaching a record high of 200 bcm this year. The move to expand the pipeline is also designed to bypass Ukraine, the main route of Russian gas exports to Europe. Novak said politics should not be allowed to intrude into discussion of the Nord Stream project which stood on its own economic merits. “The implementation of such infrastructure projects has to be built on the economic basis without any political evaluation of this project,” Novak said after his meetings. The meetings took place while energy executives and ministers from around the globe converged on Washington for the triennial World Gas Conference, the industry’s biggest summit. The U.S. Congress has imposed economic sanctions in recent months against Russia that – among other things – seek to prevent companies from participating in Russian pipeline projects or oil and gas development efforts. The sanctions were designed to punish Russia for its 2014 annexation of Crimea from Ukraine and for meddling in the 2016 U.S. presidential election. Moscow denies it interfered in the election. Russia depends heavily on pipeline networks to get its energy production to European markets, and is also keen to develop energy reserves in its Arctic. Novak has said in the past that the United States should not be permitted to impose such sanctions without a vote of the United Nations Security Council, of which Russia is a permanent member. The United States has been urging increased supply from the world’s biggest producers, including OPEC members, to help stem an increase in oil prices that threatens economic growth. It is also renewing sanctions against OPEC-producer Iran after abandoning a global deal meant to stem its nuclear ambitions, and urging consumers of its oil to stop their imports completely – another factor pushing up oil prices. Perry told reporters on Monday, before meeting with Novak, that he was “amenable to having conversations, to creating a relationship” with Russia. “He had invited me to, actually, to come visit some of the things that they are doing in the Arctic,” Perry said.